Lisa, who most recently served as Executive Vice President for Vibra Healthcare, brings extensive experience in strategy and referral development to the company. After beginning her career with a skilled nursing company, she eventually moved into business development and managed care for a national rehabilitation services provider. She would make multiple moves throughout the years taking on executive level positions of increased responsibility for marketing, strategy and managed care before joining Post Acute Medical. 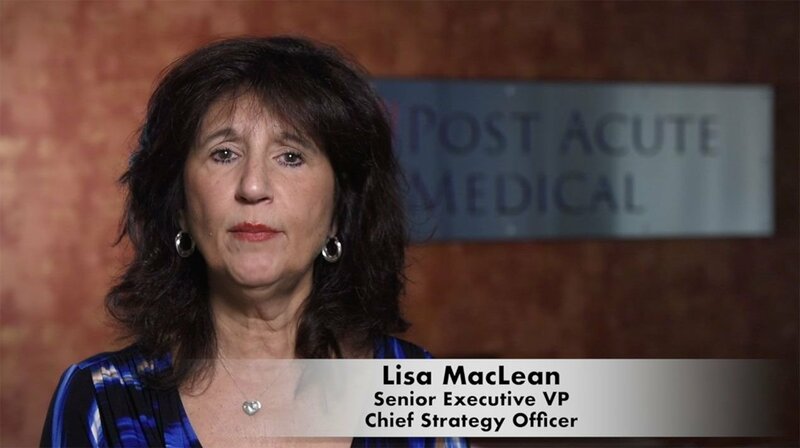 "The post-acute industry is in a state of constant change, but I am confident with the leadership team here, we will not only weather the changes, but also grow the company," MacLean says. "There is much opportunity within the industry for a company like Post Acute Medical that has the necessary expertise to integrate our services with our acute care hospital partners and become the post-acute solution in all of our markets." Lisa holds a bachelor’s degree in business administration from Robert Morris University.